still windy and cold despite rising temps. And the ducks are out and they are pairing up to have little ones. Pretty soon there will be baby ducks and they are ever so cute. Hello, Nice sighting and duck photo! Thank you for linking up and sharing your post. Happy Saturday, enjoy your weekend. We still had snow last night. They’ducks think it is Spring apparently. Nice quote and beautiful pic. The promise of warmth is there! So nice to see the ducks on the water. 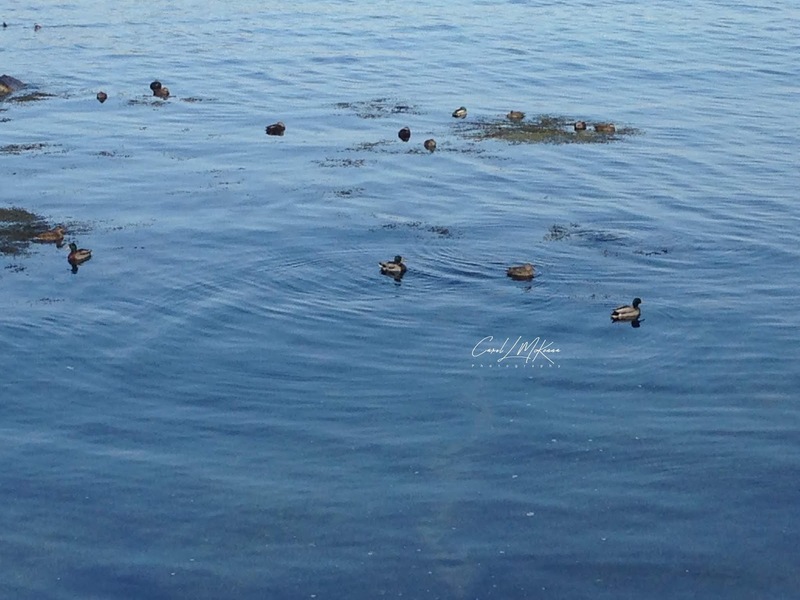 Peaceful scenery with birdies :-) I love the gorgeous blue of the ocean.